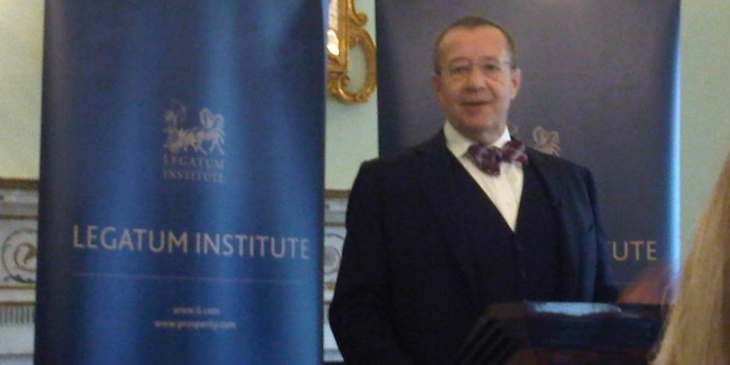 President of Estonia, Toomas Hendrik Ilves, extolled the virtues of Estonia’s e-government infrastructure and IT systems and discussed trust and identity on Tuesday in a keynote speech hosted by the Legatum Institute in London. The broad theme of Ilves’s speech was that of identity and trust. Making reference to Peter Steiner’s famous 1993 New Yorker cartoon, “On the Internet, nobody knows you’re a dog”, he put forward that “it is the role of government to come in and provide you with a secure identity, there is no other way of doing it, unfortunately…in the same way, only the government is able to enforce traffic laws and food safety standards”. “Otherwise,” he added, “the banks don’t know if you’re really a dog or not”. On Monday President Ilves gave the opening address at the Chatham House conference “Power and Commerce in the Internet Age” and met with the UK Minister for Digital Affairs, Francis Maude. Chris Glew is Estonian World's London Editor. Chris has also written for other international media outlets, as well as for Estonia's Postimees, Eesti Päevaleht and Delfi.